Bajaj Vikrant has been priced aggressively. 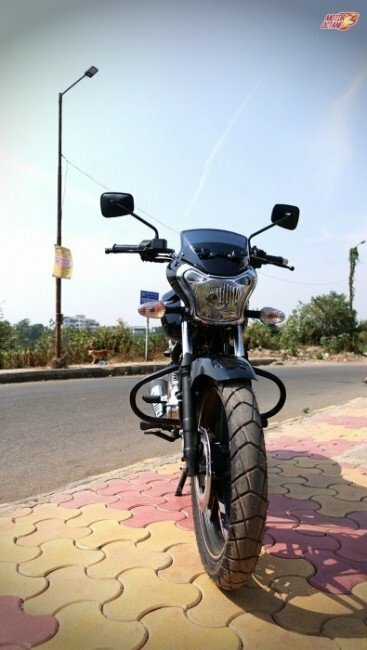 This new 150cc bike costs INR 67,000 to INR 74,000, after taxes. This is almost 125cc bike territory. 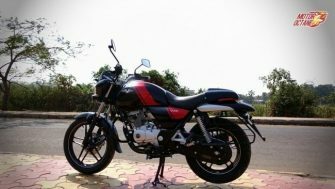 This makes the Vikrant bike highly affordable and good value for money. Bajaj seems to be doing everything right at the moment. The Vikrant bike looks fantastic as it gets the classic bike styling. This new bike gets a stylish front with cafe racer handles. The front is classy and the side is also very appealing. The bike comes with an option that makes the pillion seat disappear, just like a cafe racer. There is a cover that can be bolted on to the pillion seat. The rear looks classy making this bike look premium. The paint job also is of high quality. 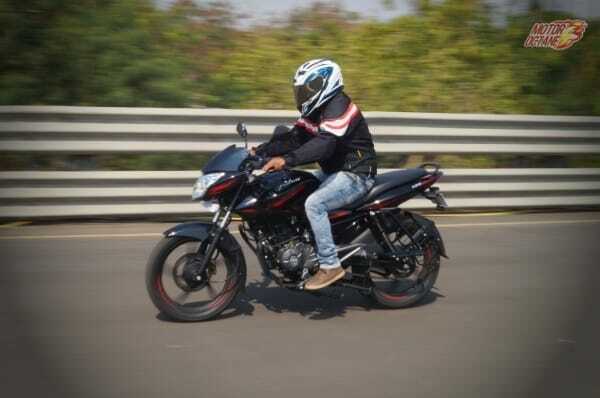 Bajaj has changed the face of the commuter bike. The fuel tank lid has the Vikrant logo printed on it. The instrument cluster on the bike is a simple one. It doesn’t look fancy with any digital meters. This goes in line with the classic look of the bike. There is a large dial with an odometer. The V15 doesn’t get a kill switch. The black exhaust pipe has a chrome tip. The front wheel is 18-inch while the rear is only 16. 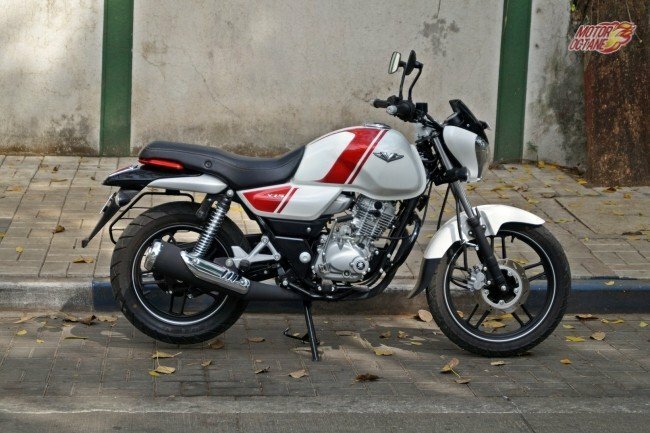 Now, the Bajaj V15 is offered with White, black, red and blue colour options. These are the four colour options on this bike. The white is the most prominent colour, while the blue is the latest addition. 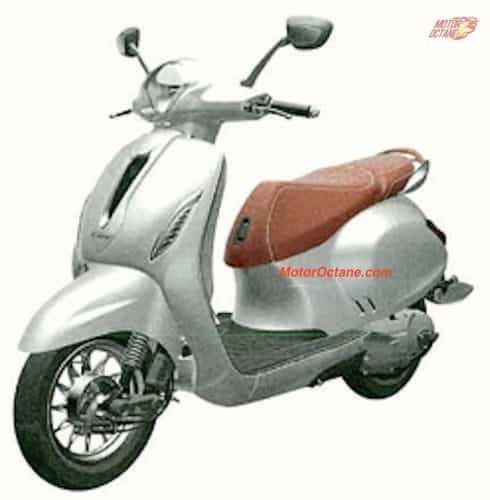 The V15 comes with a single cylinder, 150cc Twin Spark DTSi engine. This a completely new engine and has no similarities to the other 150cc units from the company. This 150cc engine churns out 12bhp at 7500rpm and has a peak torque of 13Nm at 5500rpm. It is mated to a five-speed gearbox that has an ‘All Up’ gearing pattern. Press the starter and the Bajaj V15 fires up to a soft note. Blip the throttle and the engine note you hear is not shrieky but a refined and deep one that sounds mature. After you straddle the bike, it feels pretty wide especially the seat portion, something that you generally do not get on a Bajaj. It does not feel comfortable initially and takes a little time to get adjusted to. An upshift into the first gear sets it in motion and the bike starts off seamlessly while the engine revs smoothly. This new 150cc engine from Bajaj quite a refined unit. The refinement levels are similar to what we had seen in the Avenger 150. It didn’t feel coarse at all and will get smoother after the initial running in. The vibrations are quite well controlled. 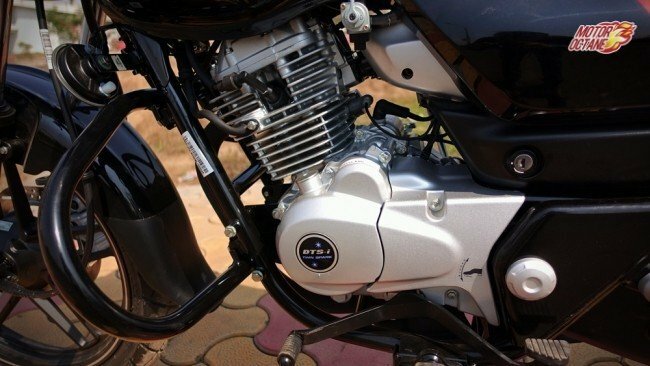 The new generation engines from Bajaj Auto are much improved units. The V15 accelerates in a silky way and the gearshift are also pretty smooth. The acceleration is pretty brisk for a 150cc engine and this makes it easy to ride in the city. 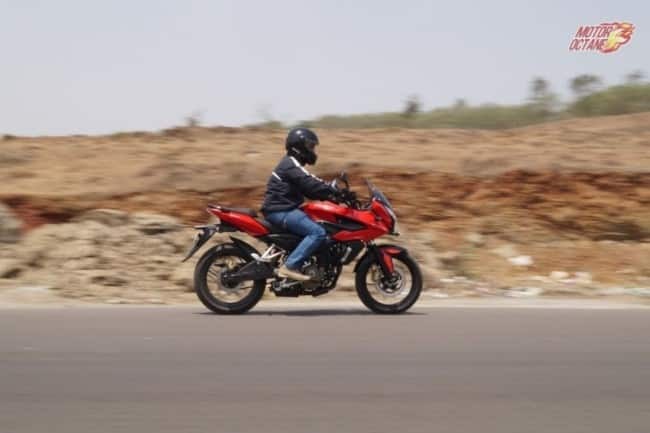 The reason for this is the torque of 13Nm thats sets in pretty early and the bike has sufficient torque for its engine sizIn slow moving traffic, it provides that extra thrust to keep it going without jerks and also without putting in too much effort. The low-end torque of the V15 makes it effortless to ride in traffic. We haven’t done an extensive test on the Bajaj V15, however it should return about 60-65km/l on a normal riding cycle within the city. This is a good mileage for a 150cc bike. The stance of the Bajaj V15 is upright and the handlebar is set a bit low. This makes commuting within the city very easy. The foot pegs are also not set too high hence you don’t squat while being seated. This applies to a medium-heighted rider like me (5’10”). The handlebar is wide and hence it aids in maneuvering the Bajaj V15 without flexing your muscles. The Bajaj V15 is designed mainly for commuting and do not expect it to handle like a sports bike, because it won’t. The Vikrant bike is pretty stable even at reasonably high speeds of close to 100km/h, which is its limit. However, its not very agile while changing directions. It doesn’t feel heavy but just that it is a bit stiff. The Bajaj V15 is meant to be ridden below 80km/h where it finds its comfort zone. The larger sized front wheel is useful on bad roads and can tackle most of the terrains with ease. The manueverability is also good. One thing that is appreciable about the Bajaj V15 is the ride quality. It doesn’t come as a surprise as Bajaj has kind of mastered the suspensions on their motorcycles to suit Indian terrains. In the same manner, the Bajaj V15 has a pliant ride and can also tackle bad roads with ease, without unsettling the rider. 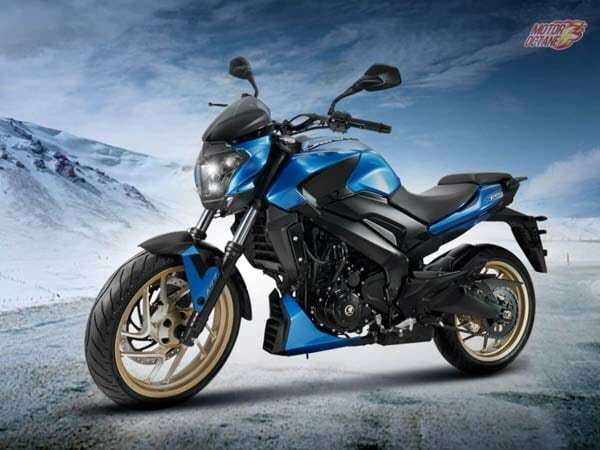 The Bajaj V15 comes across as a fresh product in the crowded motorcycle segment. In many aspects it is a revolution of sorts. The styling of this motorcycle is radical and hence it may appeal to some and some may not be too attracted towards it. 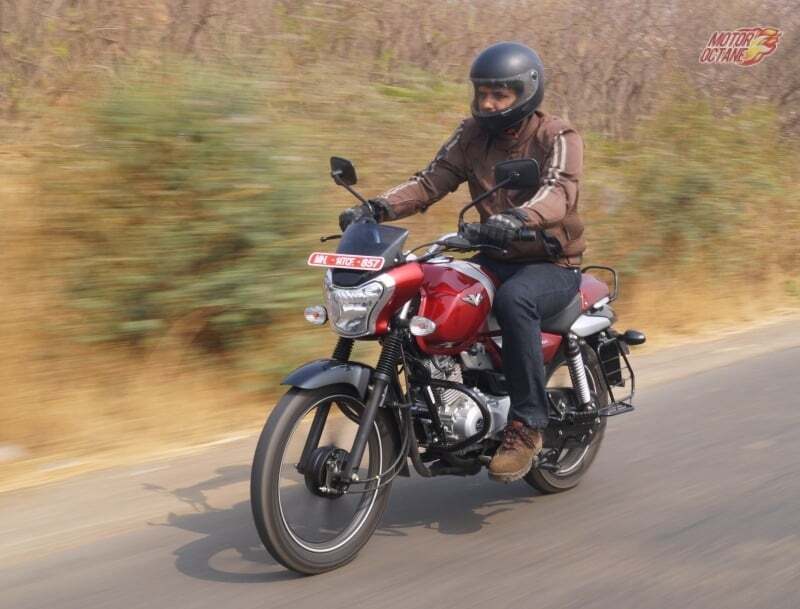 During our ride we noticed a lot of heads turn and also get inquisitive about the Bajaj V15. Also, most people who came to us to enquire about the bike thought it to be a premium segment motorcycle. The build seems quite tough and one which can handle our semi-urban and rural conditions pretty well. Even the fit and finish is very impressive. 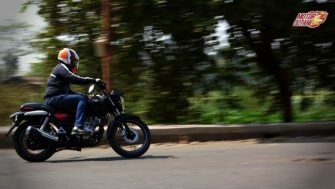 Bajaj is trying hard to once again to establish their dominance in the 150cc commuter bike segment that once the Discover enjoyed. The Bajaj Vikrant is overall good and priced well too. This shows by the number of buyer getting attracted to it. 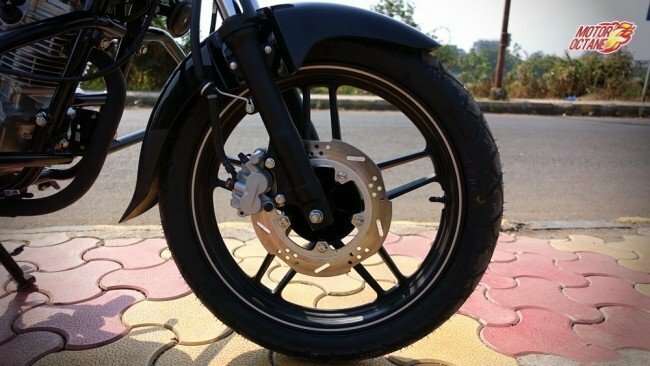 Bajaj has introduced the V12 with a disc brake now. The disc brake is only for the front and it costs INR 3,000 more than the drum brake version. The V12 is more like the stripped down version of the V15, which was launched in early 2016. This also gets the Vikrant metal, which is the marketing strategy of the company. Bajaj is looking at offering front disc brake for those who are looking at better safety on their bike. This is an exciting bike if you look at it from the point-of-view of Indian history. The entire Pulsar range has got an upgrade for 2017. This also includes the entry-level Pulsar – the 135LS. The 2017 Bajaj Pulsar 135LS now comes with a refreshed look and a BS-IV engine. LS stands for Light Sport, but the Pulsar 135LS has now been repositioned from an entry level sports bike to more of a commuter bike. It gets a price revision as well. This bike now looks better than before and more premium as well. 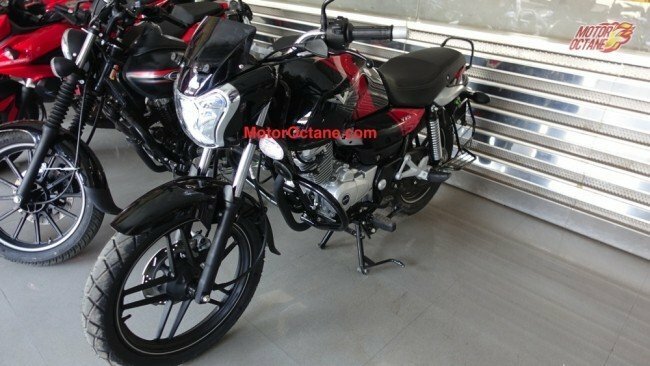 How is the new 2017 Bajaj Pulsar 135 LS? Read the review. The 2017 Bajaj Pulsar RS200 has been launched at INR 1.33 lakhs (on-road, Delhi). Bajaj Pulsar range of bikes have been upgraded for the year 2017. 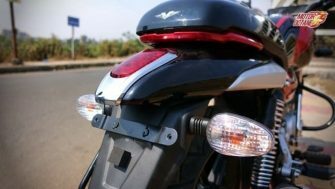 New safety norms will be coming in next year, hence the company will be making certain changes to the bike, as the new safety norms will come into being. The 2017 Bajaj Pulsar RS200 has got certain changes, though not anything major. 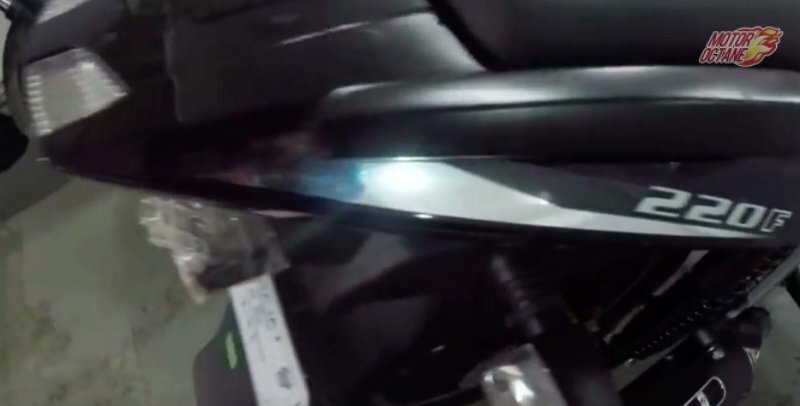 What does the 2017 Bajaj Pulsar RS200 have? We tell you that. Bajaj Avenger 150 Street marked a new segment when launched. 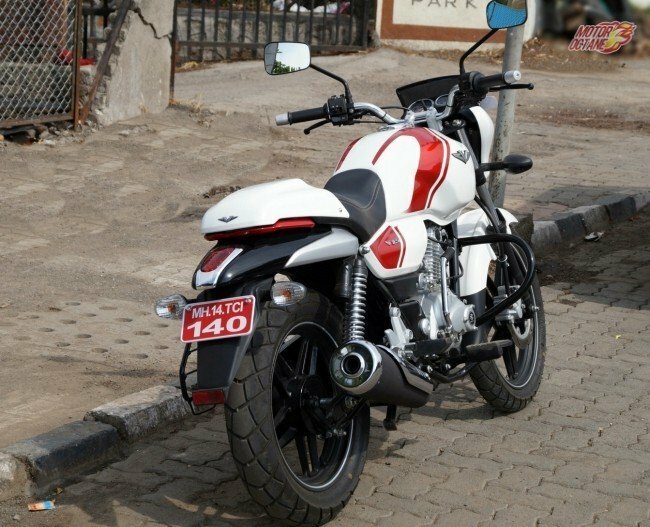 The Bajaj Avenger 150 is special because it is the only 150cc cruiser in the country. The best part about it is that this bike is very affordable. Cruiser aspirants can finally buy what they desire without spending much. 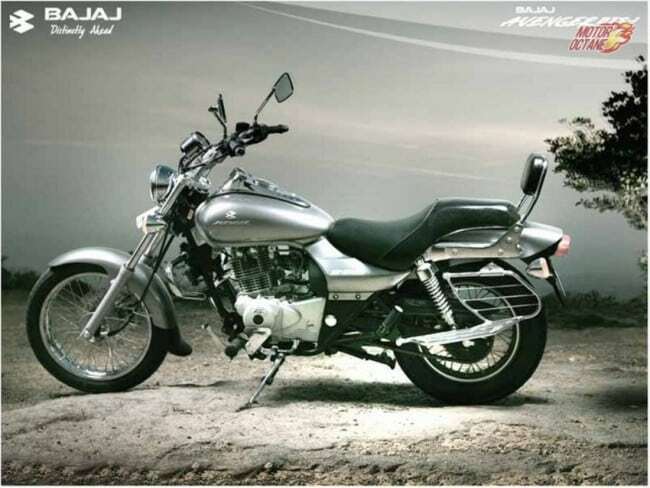 Bajaj Avenger 150 Street is in a class of its own. How good is this bike? We share our detailed review. Bajaj Pulsar AS200, an adventure sports bike that the company has introduced. With the new range of Pulsar bikes coming in, the AS is a new series that has been introduced. this is made available on the 150cc and the 200cc. 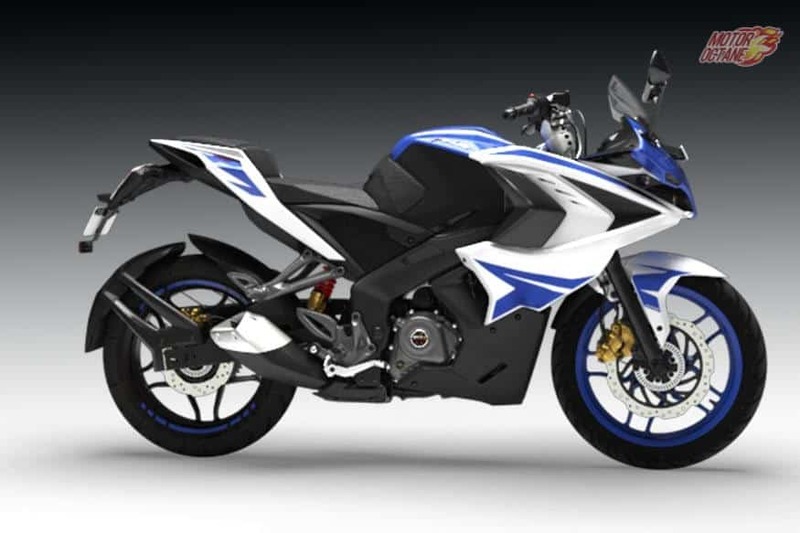 So now the Pulsar 200 has NS, RS and even AS. What does the new Bajaj Pulsar AS200 have on offer? We share our detailed review on this new bike. 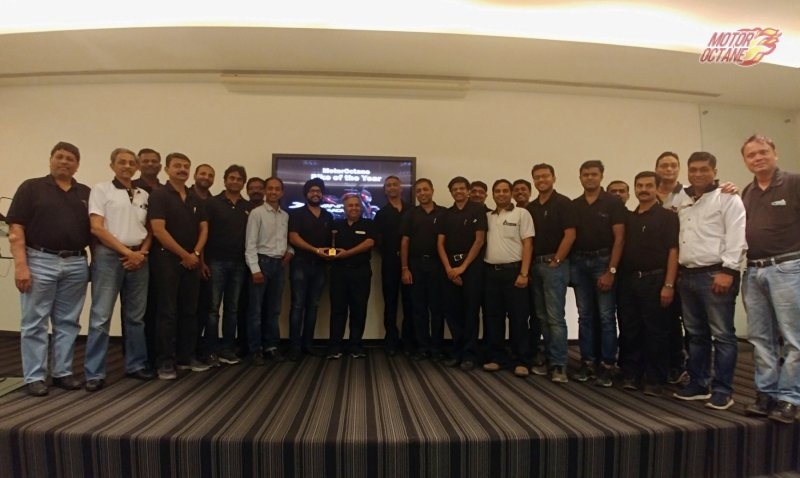 Bajaj had invited us to Lavasa to ride this new motorcycle. Read further to know more about the Bajaj Pulsar AS200. 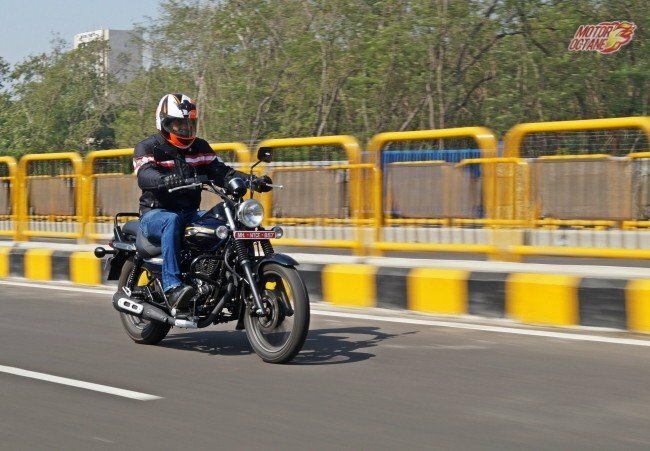 Say hello to the new Bajaj Avenger 220 Street and 220 Cruise! What are they? How are they different? 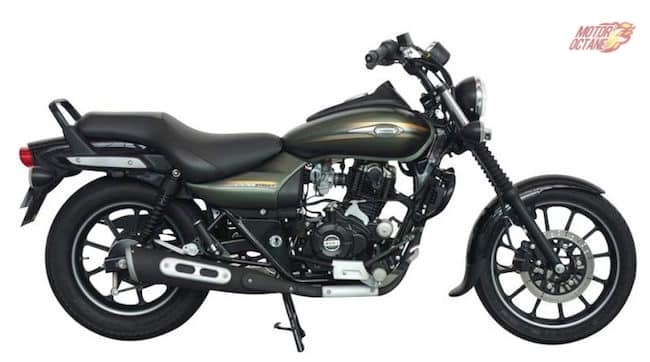 Bajaj had introduced the Avenger 220 after it parted ways from Kawasaki and discontinued the Eliminator. The Avenger has been relaunched with two types of different styling. One is the 220 Cruise, which looks more like a cruiser bike with lots of chrome. The other is 220 Street, which has shorter handle bars and matte black colour. How good are these new bikes? We share out in depth review. 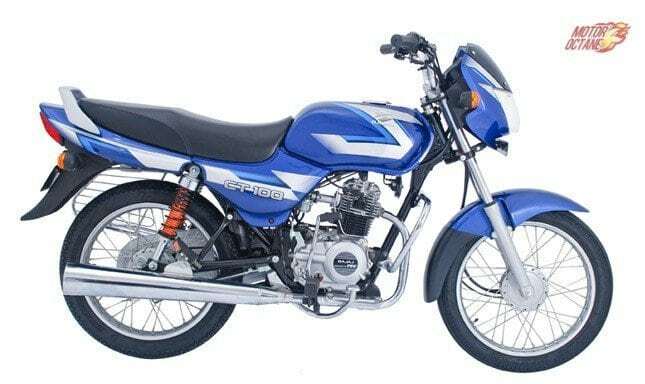 Bajaj Platina ES is the new offering from Bajaj Auto. The company has even introduced the CT100 and technically the old Platina and the CT100 have the same heart. The new ES however, has got an upgrade in a lot of areas. Is this new 100cc bike promising? Or is it just like any another 100cc bike, keeps you happy with its performance and mileage. We find this out while we ride the new Platina ES. The upcoming Bajaj Pulsar CS400 (VS400) has been spied testing in Ladakh. The bike seen in the pics is the top end version, with ABS. Instead of upside down telescopic forks, the production version will get a telescopic unit. The rear has gas charged monoshock. Disc brakes are present on both wheels. 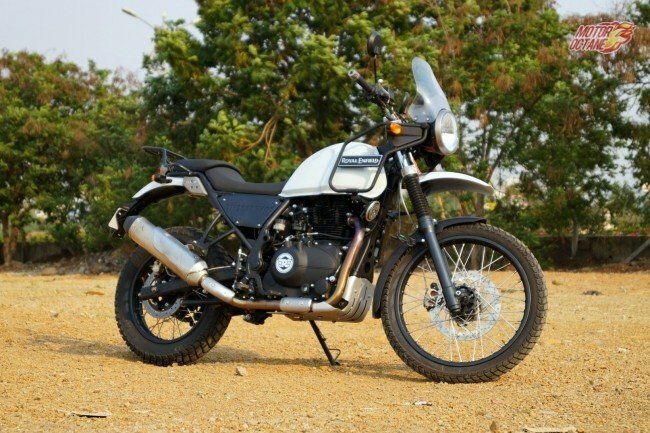 The recently launched Royal Enfield Himalayan was not allowed to be sold in Delhi, as the transport authorities had put on hold approvals for registering new BS-III complaint motorcycles and scooters since December 2015, without an official order. 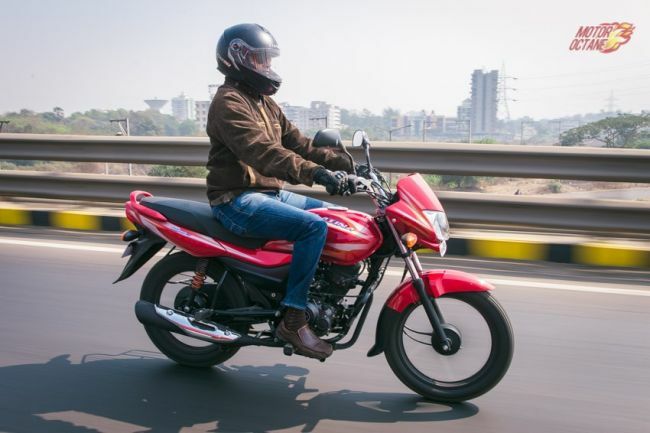 Delhi’s transport department has now agreed to register new models of two-wheelers compliant with Bharat Stage (BS)-III emission norms launched in the capital prior to April 1.